We want to help you sell your unwanted car, damaged car, scrap car, or dilapidated car fast and easily in Mandurah. You can now stop paying for expensive ads, and quit scheduling inconvenient viewings of your vehicle. You can even stop making room in your budget for any repairs. We, as the leading car removal company, make it easy for you to sell your cars, trucks, SUVs, and motorcycles, and RVs for the best price and obviously for cash. Our car buyers work day and night for you and offer quick estimates, easy paper work and no-hassle document and payment transfer. What you get with us is more than just a fair value for your precious and faithful car in cash in Mandurah. Based in Mandurah our car wrecker Service Company has been serving this community and its surrounding areas for over 5 years. We take pride in being able to provide you with the highest quality customer service and give you top dollar for your car. You can trust us when it comes to car wrecking services in the city. We are known in the business for our supremely professional attitude and timely procedures. Whether you are in an automobile accident or your tire burst or your car battery ran out or the ignition won’t start, or if you are stuck deep in the mud — just call us. We are ready to help you no matter where in Mandurah you are and will find you right on time. 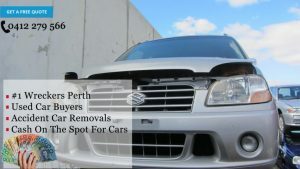 Our car experts will help you prepare your car for the free car removal in Mandurah. 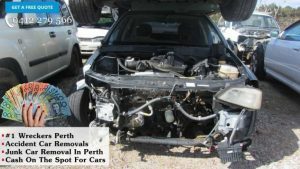 We are one of the most reputed and sought after car/junk removal service providers in Mandurah that aren’t limited to only removing junk vehicles. Our staff and removal experts will come to your place, pick your car carefully, pay you top cash and then leave. We are here to pick up any model, any make, and absolutely any brand that you have and all this at your convenience. You may choose any weekend or any of the weekdays to get rid of your old car in Mandurah. Our well-equipped workforce will tow away your car in practically no time and make space for your brand new car. We also deal in used auto parts in Mandurah. We sell used, but genuine car parts in Mandurah, Western Australia. If you want genuine, used, high-quality car parts in Mandurah at affordable price, do contact A1 Malaga Auto Dismantlers. The car parts we take out from the cars we buy are reconditioned for their longer lifespan and then made available for the buyers. Used car parts can enhance a car’s performance and they can bring it back to life if the car is not running because of one particular part.